You will also need to download the Blutrack Challenge Cards. 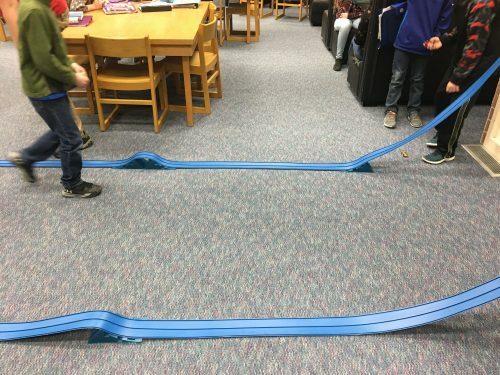 The BluTrack is a system of toy race car tracks that can help teach youth physics principles. You should have access to computers as well. Laptops or desktops work and it does not matter if you have PC or a Mac. 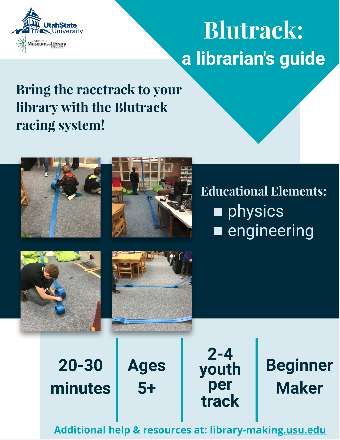 This project is a multi-year research-practice partnership that seeks to understand and engage with the challenges faced by public and school library professionals when they experience an organizational push to support new forms of Maker-oriented learning in their spaces.